I think we have all heard the phrase “Bloom Where You are Planted.” We tell ourselves and our friends that when we/they are living in difficult circumstances. But despite the phrase being repeated over and over again, how many of us actually believe what the phrase is teaching us? Many of us parents today are micromanagers. We want to control every aspect of our children’s lives, including what influences reach our children no matter where they are. Rather than encouraging our children to bloom where they are planted, we transplant them into nice greenhouses with perfectly engineered soils where nary a weed could even think of rearing itself. Last week, I talked about how our efforts to help our children might actually be hurting them. I would like to expand on that idea more today in talking about influences on our children. There is such a fine line to consider here. When we were young, we had to go looking for trouble. In our current day, trouble seems to be looking for our children. And unfortunately that is not just outside the home, but inside the home as well. So we are faced with a unique parenting conundrum. Do we all move to the best neighborhood we can afford, banish technology from our homes, carefully screen friends, and never let our children leave our sight? Or do we bloom where we are planted? I can’t tell you where you should live, how you should school, how many minutes of technology you allow (if any), how often to have friends over, etc. I just can’t give an answer that would cover every situation out there. What I can tell you is to bloom where you are planted. Focus on your teachings inside the home. Focus on raising strong children rather than sheltering them. I talk about it a lot, but there is a Fine Balance of Protecting Children. You can take it so far that you prevent the child from meeting his potential. The young years in a child’s life are often referred to as the “formative years.” A couple of days ago, I drove to the valley where I grew up. It is very different from where I live now. The town I live in now has as many people living in it as I had students in my high school. It is a very different world even though the distance is not great. In the valley where I live, we have only four lane high-ways. The valley where I grew up has up to 10 lane freeways going on. So it is a different driving experience. I was reflecting on the fact that I feel very comfortable driving among the obviously more chaotic experience where I grew up even though it has been 13 years since I lived there. I also marveled that I had actually only been of driving age for about 3 years before I moved away. I really tied it into this post (because I think about these things for days before I write them). It struck me how even a short time spent as a child, compared to your lifespan, really has a huge impact on who we are as adults. Those really are the formative years. Okay, so I can’t give you hard and fast rules on what your zip code should be and all of those details that would be handy to have in life (though I of course encourage you to pray about those things! And trust the answer even if it seems like it isn’t the safest “greenhouse” around, so to speak–I really love garden analogies don’t I?). 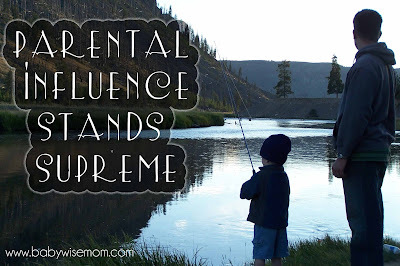 I can, however, give you some good basic “rules” to follow that will help you have that great home influence that strengthens your child to be able to bloom where he is planted. Your parental influence stands supreme. It stands above all other influence. “What happens inside the home is far more important than what our children encounter outside. How we raise our children is more important than where we raise them.” Keep that in mind. Pray in Earnest. Prayer is such a powerful tool as a parent. Pray for your children. Pray to get to know your children and understand them. Pray for help in raising your children. Pray to know if you should homeschool, public school, or something else. Pray to know if you should allow your child to ride his bike to his friend’s house. Spend Valuable Time Together. Have prayer as a family each day. Study the scriptures together as a family each day. Spend time in the evenings together. Have meals together at night as a family as often as possible. Plan your schedules so that you can eat together. Visit with each other as you eat dinner (in other words, don’t watch the television, play on phones, or even read books–have conversations). Communicate with Teachers. L. Tom Perry talks about keeping communication open with your child’s teachers at church (by the way, know who your child’s teachers are. I teach Sunday School to teenagers who are 15 going on 16 and it shocks me that after teaching a child for 8 months, the parent finds out from me that I am the child’s teacher–find out week one who the teacher is). I also find it valuable to communicate with school teachers, piano teachers, dance teachers, etc. These are people you are trusting to have a huge impact on the life of your child. Work together with this person to make sure you both understand the needs of your child. Share What You Know. Tell your child of experiences you have had in choosing to do the right thing and the benefits and blessings you have experienced from that. Share the blessings of the Lord when we follow His commandments. Teach your children what you know of the gospel. Have it be part of every day life and conversation. Organize Your Family. Have clear, basic, and simple family rules and expectations. Have family traditions. Have your child work in the home and have responsibilities. Give an allowance so your child can learn to budget, save, and tithe money. How earth-shattering are these five suggestions? Not very, right? No “secret to life” revealed in this list. These things are “back to basics.” This talk by L. Tom Perry is not the only thing revealing these basics as the way to strengthen and protect our children and create a strong family culture–one that “…will help our children live in the world and not become “of the world” (John 15:19).” Even studies are finding the benefits of a strong family culture. I recently enjoyed this post titled, “Have We Forgotten How to Be a Mommy?” It is a very good read on bringing ourselves back to basics. Our parental influence can stand supreme. Have confidence in that. 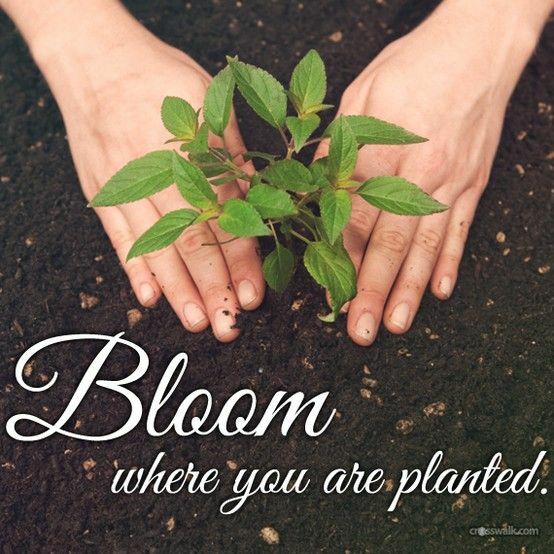 You and your children can bloom where you are planted! We are not victims of our circumstance. We can do things to help our children grow strong and bloom where they are planted.